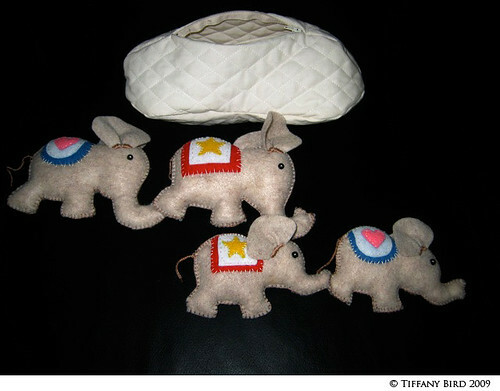 Nice little zippered peanut to hold these circus elephants. Unlike the mice and cheese where the cheese were made out of felt, I sewed the peanut. Then easy blanket stitch for the elephants. If you made something inspired by Simply Modern Mom, please upload pictures of it in our Flickr group to show it off to everyone. You may be featured on Simply Modern Mom. Could you please post the instructions for the Animal Series again. To cute!!! I would love to make them. Many thanks! you can find patterns in a book called scrapsavers.